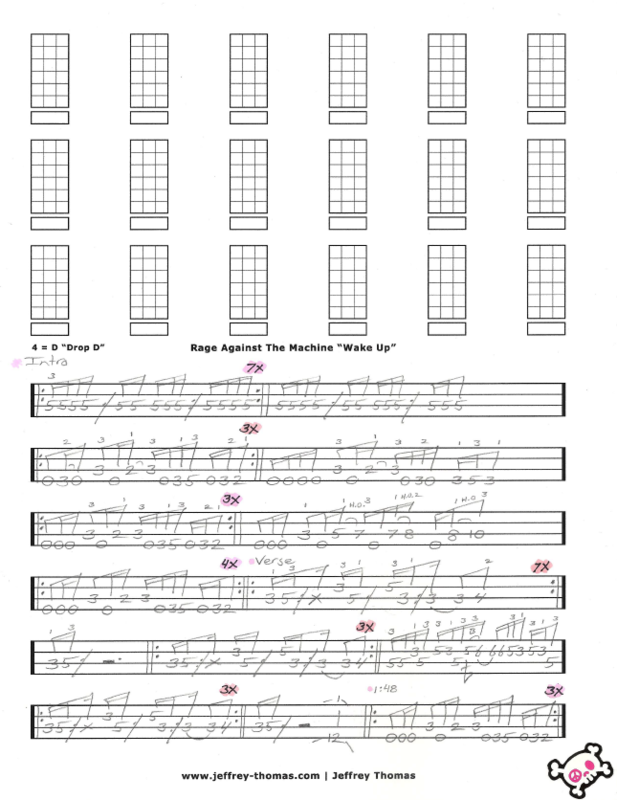 Learn to play “Wake Up” by Rage Against The Machine with my free bass tab. I have all the details you need to play this tune just like the recording. This tune has the bass down to Drop D and I have the complete song structure for you so you can play it just like the recording. “Wake Up” is a popular rap metal tune with my bass students. Want the full bass tab for free? Send in your email address using the for provided. Looking for online bass lessons? Fill out the Schedule A Free Lesson form to set up your free Skype bass lesson today. “Wake Up” was featured in film The Matrix and definitely gave the song and band exposure. Check out my Bass Tab Archive and Bass Video Archive for more cool tab, tricks, tips and lessons.